With so many shoes, ties, clothes, trinkets and bags to stash, wardrobes or cupboards are not only essential and probably one of the most used furniture items at home. If you decide to design or revamp your closet, consider wardrobe designs that optimise space and ensure ease of use to expedites your routine, not hinder it. The first step to an organised closet is a clean out, then assess the inventory of the items and go from there to evaluate and consider the full range of options: fitted or free-standing, built-in or walk-in wardrobe. Start by looking through wardrobe designs and images. How do I plan my wardrobe design? Depending on the style of your bedroom and your storage needs, you can pick from a variety of cupboard designs. Most Indian homes opt for wall-mounted closets as they are great space savers and offer a sleek and uniform appearance to the room.You can add custom wardrobe organiser elements like hooks, bins, drawer partitions or dividers. Baskets and bins are great for storing things like belts and scarves, while shelf dividers keep sweaters, jeans, and shirts in line. Another option to explore is the built-in wardrobe or modular storage styles. With built-ins, you have the advantage of fitting it out internally (think drawer partitions, shoe racks, storage boxes, vacuum storage bags, tie racks etc.) while appearing totally discreet on the outside.Lastly, you can consider the age-old use almirahs and armories which are nothing but a variety of free standing wardrobes that you can slot into any space. They are designed for additional storage space in the room, these will be the go-to cupboard if you are trying to achieve the traditional Indian style home. If you are looking for more spacious and luxurious wardrobe designs, consider a walk-in wardrobe. How can I design a walk-in closet? 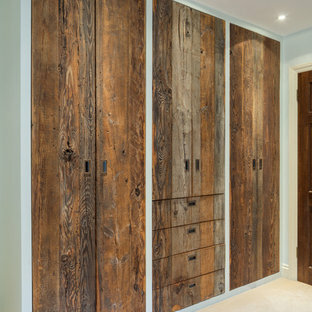 Walk-in wardrobes are lavish, stylish and can be carved out of your long or L-shaped bedroom in particular as they can easily be divided to create a separate space. You can also try to use a spare bedroom or space as a walk-in closet. When planning your walk-in wardrobe design take into account the different kinds of clothes storage you will need before you begin designing – consider rails and shelves for hanging and folded garments, racks of storage for shoes and bags, and cabinets or drawers for smaller items such as jewellery and makeup. 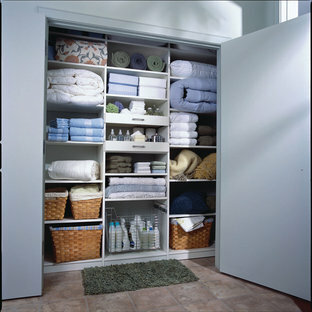 Keep in mind walk-in closet ideas will require enough floor space to allow you to navigate easily around your clothes. What kind of wardrobe extras and accessories should I add? There are few must have add-ons irrespective of the wardrobe design you have selected. Your closet should instantly brighten your mood as you dress for the day (or the night). Liven up the cupboard with enough light to help you find and match shades of different outfits. 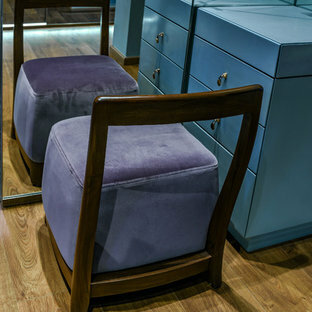 Floor-length mirrors or mirrored cabinets are crucial in closets — after all, you want to be able to evaluate your outfit. Also, if you have the luxury of a walk-in closet, add a small sitting area with either a window seat, ottoman or lounge chair; this can work as a great getaway from everyday life and can also come in handy when putting on those pesky high heels or boots.For additional storage squeeze in another dresser or install an island with drawers, scarf hangers, belt hangers or lingerie hangers to stay organised. 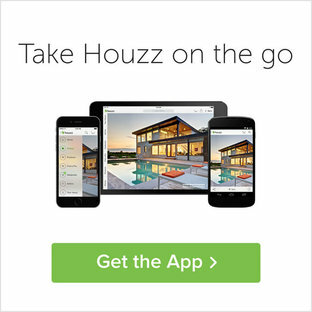 Whether you’re looking for ingenious ideas for space saving wardrobe designs or walk-in closets ideas you can find inspiration by browsing through the photos on Houzz. This project was a complete bedroom revamp, with reclaimed pine wardrobes salvaged from a derelict honeybee barn. The main tall wardrobes are fitted out with central sliding shoe rack, heaps of hanging rail space, and integrated drawers. The wardrobes on either side of the vanity frame the garden view providing supplemental storage.. The space was completed with re-wired and new fixture lighting design and a discreet built-in sound system. Custom shelving and wicker baskets organize and store towels, sheets and quilts. An open shelved, recessed panel walk-in closet. The finish is a white lacquer with polished nickel handles. This spacious, classic white walk in closet includes space for his and her clothes, accessories and shoes. Adjustable floor-to-ceiling open shelving maximizes one wall of space, while single and double-hang sections allow for versatile storage of clothing. Utilizing every inch of closet space helps maximize the storage capacity of this walk-in closet space. We’ve been perfecting our slide show for quite some time—it’s no wonder we are the industry leaders. With so many options at your fingertips—from barn, pocket and closet doors to room dividers—allow us to be your sliding door company. A white painted wood walk-in closet featuring dazzling built-in displays highlights jewelry, handbags, and shoes with a glass island countertop, custom velvet-lined trays, and LED accents. Floor-to-ceiling cabinetry utilizes every square inch of useable wall space in style.